The Forum is teaming up with Age UK, NIACE and Leicester University to organise the landmark Discovering Men’s Sheds conference. The conference, on Thursday 29 September at the Ramada Jarvis Grand Hotel in Leicester, will examine the impact of the Men’s Sheds initiative on health, wellbeing and informal learning. Delegates from all over the country are invited to learn about the ways in which informal learning, health and wellbeing has been boosted under the Men’s Shed initiative. Participants will explore Age UK’s three pilot 'Men in Sheds' projects (funded by the Sir Jules Thorn Trust), the value of informal learning through the Shedshow, and how the activities organised through the Men's Shed initiative promote men’s health and well-being. Find out about the achievements of the Men’s Sheds initiative to date and hear about proposed future developments. Hear about the importance of linking informal learning with men’s health and well-being. Hear about the challenges and successes Age UK’s three pilot Men in Sheds project experienced when setting up and running their Sheds. Hear about the intended and unintended outcomes for participants in the Sheds project. Meet and network with delegates with a similar interest from a wide range of national and international backgrounds. Further explore the policy, social, economic and demographic contexts within which the project is currently taking place. The keynote speaker for the event is Professor Barry Golding, right, Deputy Head of School of Education, University of Ballarat, Australia. 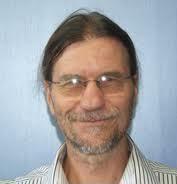 Barry has extensive research experience and in the last 15 years has focused on adult and community education. 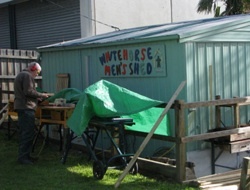 He is an honorary Parton of Australian Men’s Sheds Association and the Vice President of Adult Learning Australia. Submitted by Visitor on 17 November 2011 - 12:51pm.